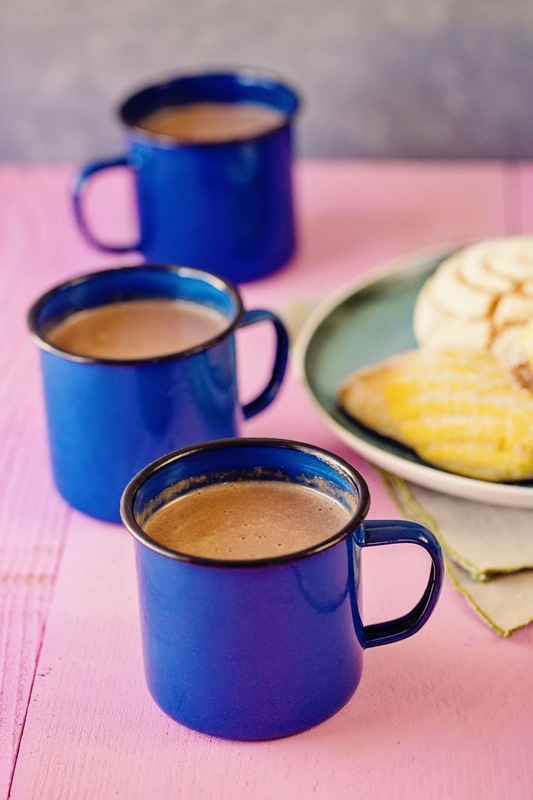 When atole (corn-based drinks dating all the way back to the days of the Aztecs) is married with chocolate (another gift from the Aztecs), you get champurrado: a wonderfully decadent, thick and comforting mugful of Mexican hot chocolate that is utterly filling and completely satisfying. Just a few days left in November and early morning and evenings are finally cooling down. Seems like our hot Santa Ana days are coming later and later in the year, virtually extending summer weather past Thanksgiving. It hasn't been cool enough to justify sweater wearing – yet – but mornings and evenings are starting to call for something warm and comforting. Atole is the Spanish interpretation of atolli which is Nahuatl – the language of the ancient Aztecs, a version of which is still spoken by their descendants, the Nahua people of central Mexico. It is a corn-based drink made from masa – the nixtamalized maize that corn tortillas and tamales are made from – and either water or milk (sometimes both). Think of it as the Mexican version of gruel. Though atole is traditionally made with corn masa or masa harina, I've seen it made with regular boiled corn kernels that have been pureed along with its boiling liquid, black beans, all-purpose flour or rice flour (think horchata) and flavored with vanilla, cinnamon, fruit or even chiles. The rice and flour versions are the ones I associate most with my Grandmother who made atole during the winter months, especially paired with her Mexican spiced cookies. Atole on its own is delicious but add Mexican chocolate to it and the drink is in an entirely new stratosphere. 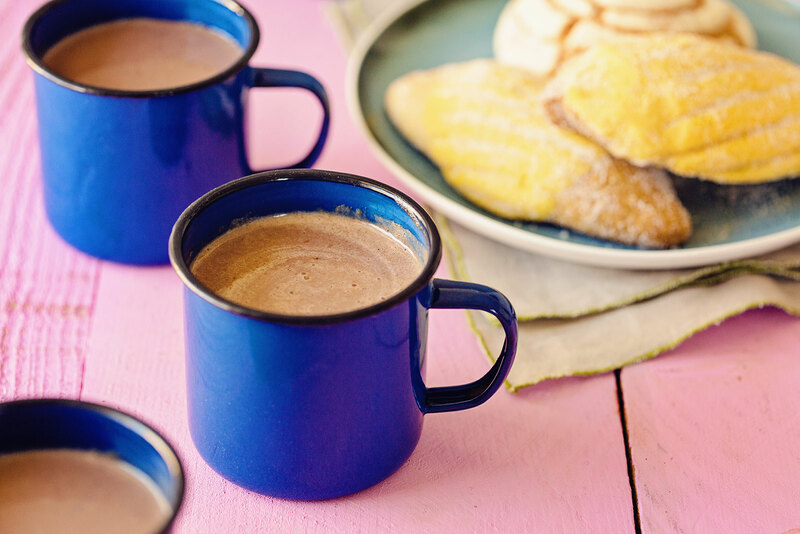 This combination is called champurrado and it's the recipe I'm sharing with you today. 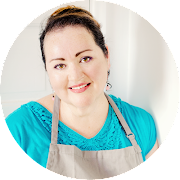 My version is super simple and not at all as sweet as some recipes that call for an entire piloncillo cone (about 8 ounces of Mexican pure cane sugar) on top of additional white sugar and the already sweetened disk of Mexican style drinking chocolate. Those recipes are like drinking pure candy. I dial the sugar way back and start with a tea made from canela (Mexican cinnamon). 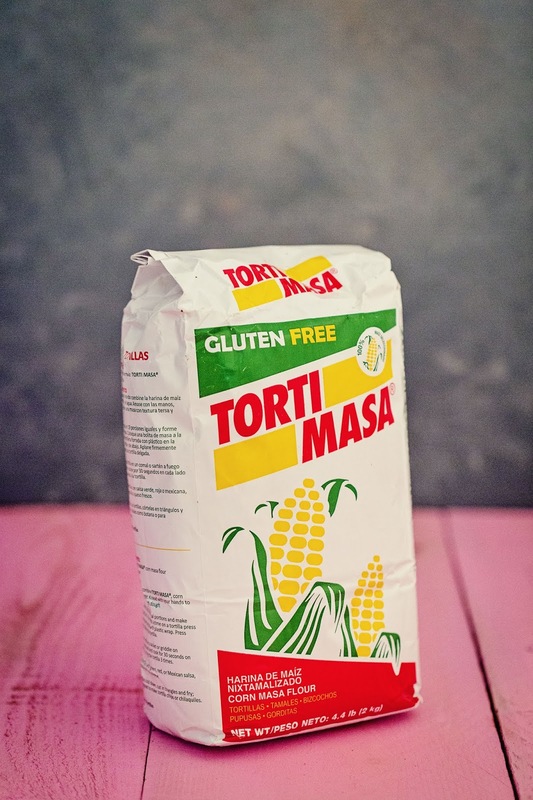 I use masa harina (corn flour for tortillas) which is more readily available than fresh corn masa. When shopping for it, make sure the package says for tortillas on it and not just for tamales. The tamale version is much more course (like grits as opposed to corn flour). Normally I buy Maseca brand but any brand, such as the one pictured here, will do. I also don't bother with making the flour into a dough before adding it to the liquids, especially because I drastically cut down the amount of flour I use. I like my champurrado to be the consistency of a melted but still cold milkshake as a opposed to a just barely starting to melt milkshake. To that end, I use a generous tablespoon of masa harina per cup of champurrado plus one for the pot. A lot of recipes call for as much as ¼ cup per serving. 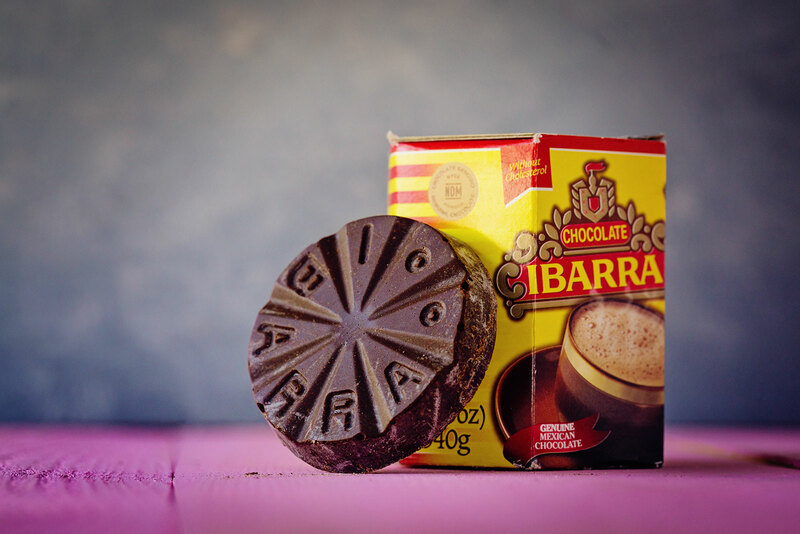 As for the Mexican drinking chocolate, I use Ibarra chocolate. The other commercial brand is Abuelita. Here's the thing, you know how there has always been a debate over Coca-Cola and Pepsi? I mean, both are dark colas, right? But each has their own recipe and distinct flavor and if you like one, you're probably not going to be much of a fan of the other (personally, I'm a Diet Coke girl). Well, that's kinda the way it is with Ibarra vs. Abuelita and most families I know prefer one over the other. Our family has always been Ibarra drinkers. The process is simple. You start by boiling water with 1 stick of cinnamon, preferably Mexican. Let it steep for 10 minutes. The tea gets returned to the heat and the cinnamon removed. Next, you vigorously whisk in the masa harina one tablespoon at a time, working out as many of the lumps as possible before adding the next tablespoon. Then you whisk in the milk, slowly and magically, the lumps should disappear as it gets smoother with each addition of milk. The broken up chocolate goes in next and as the milk simmers, you'll use the whisk to break up the chocolate, whisking to incorporate. At this point, you taste for sweetness and add up to ¼ cup of packed brown sugar if you want it a little sweeter. Then you just let it simmer until it thickens, about 10 minutes, whisking it occasionally to keep from sticking to the bottom of the saucepan. That's it. This drink is warm, comforting and though it's most often drunk for breakfast, you really can enjoy it any time of day. Maybe even paired with some Mexican sweet bread. Substitute milk with almond milk for a vegan version. Add water and cinnamon to 3- or 4-quart saucepan; bring to a boil, remove from heat and let steep for 10 minutes. Remove the cinnamon and return saucepan to heat and bring to a gentle simmer. Vigorously whisk in the masa harina, one tablespoon at a time, working out as many of the lumps as you can before adding additional flour. Slowly add the milk, whisking to work out lumps until mixture is smooth. Bring to a gentle simmer. Knock the disk of chocolate still in its wrapper against the edge of a counter or table edge to break up the chocolate like our family always has or unwrap the chocolate and use a very sharp knife to carefully cut through the scored chocolate. 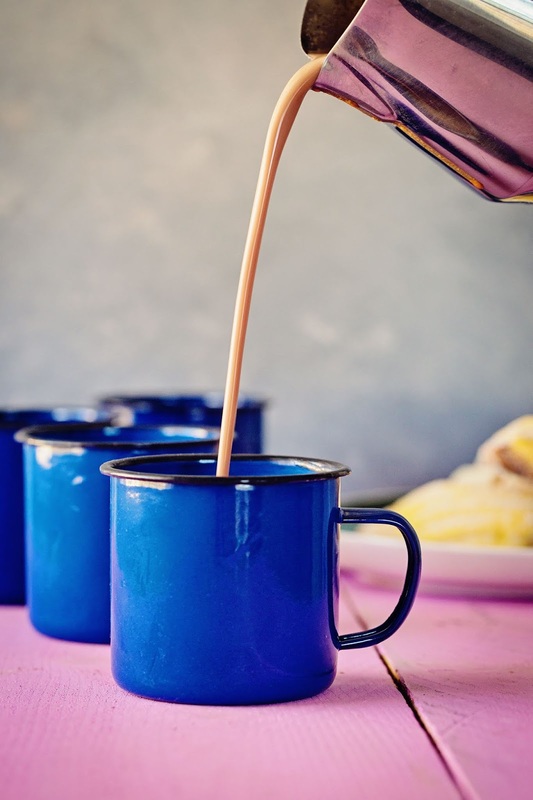 Add the chocolate to the gently simmering milk and let cook for 3 minutes before using a whisk to help you break up the chocolate then whisk to incorporate it into the milk (this can take up to 5 minutes). Once chocolate is completely dissolved, taste and add the sugar for a slightly sweeter drink. Whisk well to dissolve sugar then keep heat low and let the champurrado just barely simmer for 5 minutes or until thickened. Give it one good final whisk to break up any skin that has formed on the surface then serve immediately.